In the late 19th century, in rural France, we find Therese. An orphan, she lives with her overbearing aunt Mme. 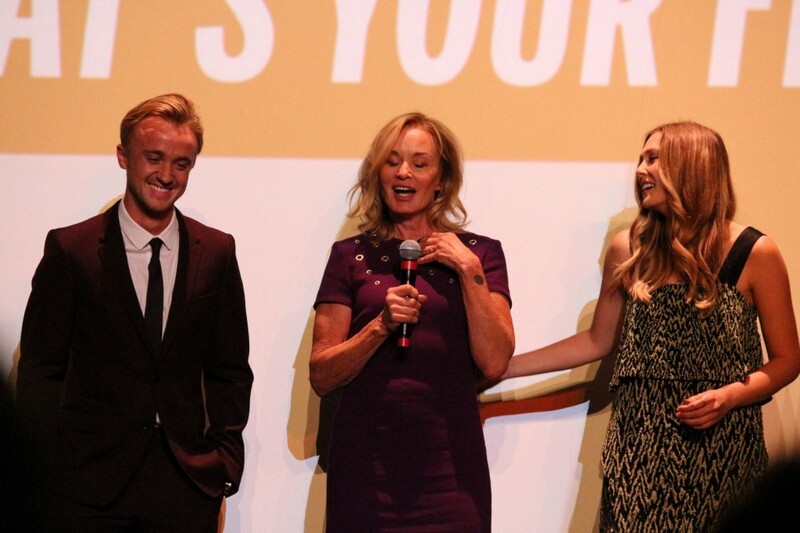 Raquin (Jessica Lange) and her sickly cousin Camille (Tom Felton). We follow her life and see her adapt from quiet mousy wife, to passion filled adulteress, and beyond as her world eventually spirals entirely out of her control. We are introduced to her as a simple quiet girl, and although we do not see much of her childhood or upbringing, we are to assume it was as pleasant as could be expected when tasked with the welfare of your constantly-ill cousin, and likely been ignored for affection from the only parental figure, her aunt. It comes as a surprise to her that she is to marry Camille, and the small dysfunctional family moves to Paris. She seems to take the change in stride, taking on the role of obedient and dutiful wife, until her world is shaken by the introduction of an old friend of Camille’s, Laurent. At first, she is taken aback by his presence, but as he spends more time with the family, her lust for him blossoms into a passionate affair. Elizabeth Olsen skillfully takes on this very complex role, and plays both the demure wife, and lustful vixen deftly. She proves that the adoration she earned for Martha Marcy May Marlene was well deserved, and has carved her place out as a strong female lead. When Camille states he wishes to return to the countryside, Therese and Laurent become deparate to stay together, and a fateful boat trip ends in Camille’s death. In a perfect example of always wanting what you can’t have, Therese and Laurant’s relationship never quite recovers, even after they are given the blessing of Mme Raquin to marry. The guilt of their deed festers at them to the bitter end. Jessica Lange is amazing in her role, which offers a fantastic opprotuinty for her to use her acting chops to the nines. I was genuinely surprised by Tom Felton, and how genuinely talented he is. And to take on such an absolutely polar-opposite to his role in Harry Potter both wise and warranted. As a testament to his skill, I would have never guessed this was Charlie Stratton’s first feature. He offers up a small but realistic world for the backdrop for this story. Overall, although the story offers a thrilling and interesting journey, the films most memorable aspect will be the performances.